Q. Why do I see so many tugboats pushing barges rather than towing them? A. In terms of power and water resistance, it is more efficient to push rather than pull a barge. But a lot depends on where it happens. In some waters, like the Mississippi River, you are likely to see a square-bowed tugboat pushing barges that are tied together. These are single-purpose boats, which only push. 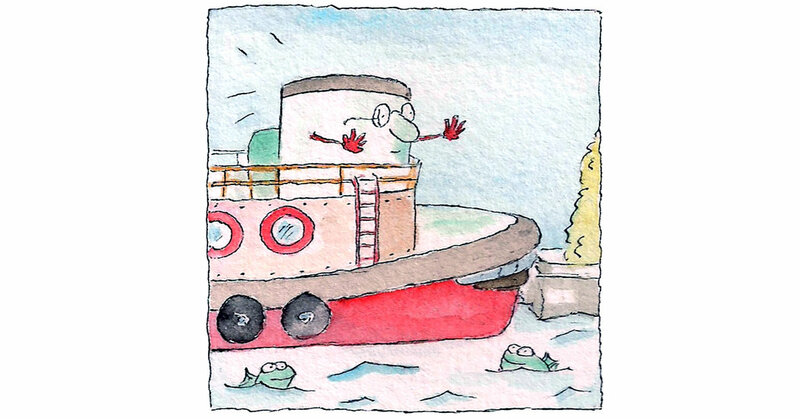 In places like New York Harbor, most tugboats have pointed bows. This type can push or tow, and in congested but calm waters, these tugs will generally push barges. Towing provides less navigational control, as the barge may wander from side to side. In waters that are less congested and less calm, it is more likely that the traditional pointed-bow tugboat will tow a barge. Pushing in rough waters may be dangerous, because of the inevitable banging between the two vessels.